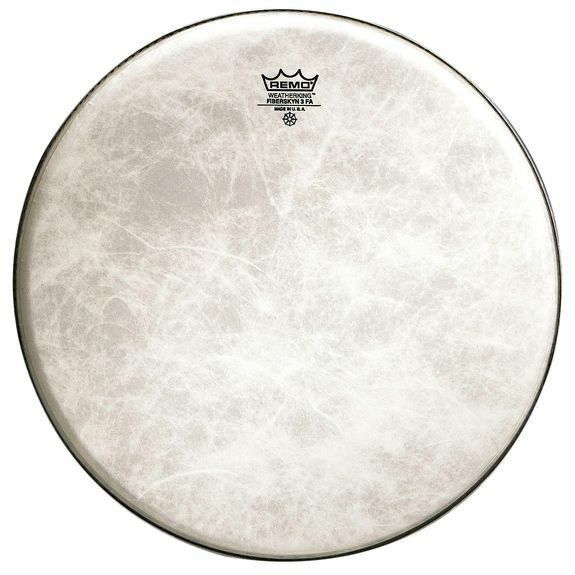 The Remo Powerstroke 3 Ambassador Fiberskyn Drum heads are perfect for controlling unwanted overtones while retaining an earthy vibe to their sound. The Ambassador weight Powerstroke 3 Fiberskyn is a 10 mil weight mylar. Fiberskyn's also have that classic look of the calf skin heads but maintain their tune in any situation.